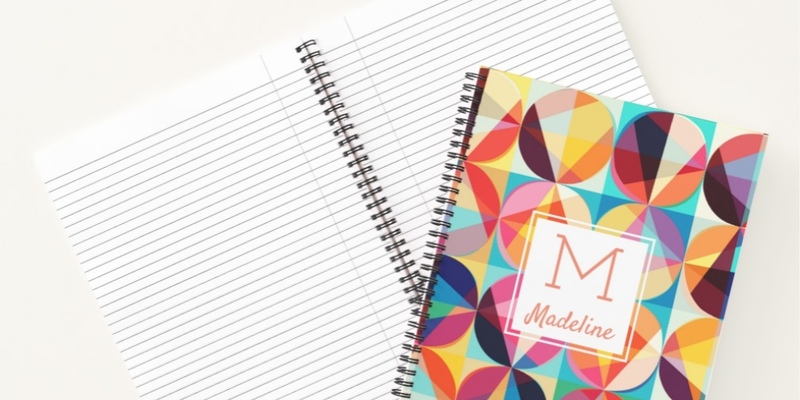 Accessorize while you organize with these handmade spiral notebooks. The front and back covers are customizable with your images and text, and the personalized spiral notebook covers are laminated to ensure durability. You can choose from 3 notebook styles, 6 different spiral colors, and 8 different page design options to make your one-of-a-kind notebook. Notebooks make great customized unique gifts for teachers and coaches. Personalized a fun journal for a child learning to write. Check out our cute kawaii animal patterns and pretty stationery for small businesses.